Colin Rogness - School of Kinesiology, Univ. of Minn.
Drop-in hours: Tuesday 9-10am, Wednesday 3-4pm. Note: At times during the semester these hours do fluctuate. It is always best to check ahead to ensure the drop-in hours are still available. Drop-in hours are for current Kinesiology Majors. Areas of Interest: Kinesiology B.S. Colin has over 15 years of experience within higher education, providing Academic Advising, Career Counseling, Admissions, and Support Services to several diverse university populations at the University of St. Thomas, the University of Denver, and Western Illinois University. 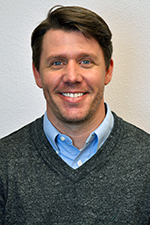 He has also previously served as an Academic Advisor at the University of Minnesota within CEHD Student Services for a number of the Initial Licensure and Master of Education degree programs. Colin's current role will be serving as the Departmental Academic Advisor for students in the B.S. Kinesiology program.